Independent Test Services is a wheel testing lab and equipment manufacturer located in Canton, MI. We are approved to conduct wheel testing for all of the major Original Equipment (OE) vehicle manufacturers in North America and many others around the world. We are ISO 17025 accredited to perform over 100 test specifications, including those from SAE, GM, JASO, Ford, Chrysler, ABNT NBR, Toyota and many more. Call us for more information or fill out your test request online. Thank you for choosing ITS! The contents of this webpage are Copyright © 2019 Independent Test Services. All Rights Reserved. 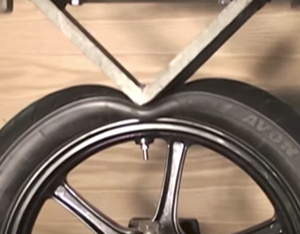 Independent Test Services specializes in wheel testing services for automotive wheel testing, light truck wheel testing, and motorcycle wheel testing.